Below is a short description of the non-depleting oxygen sensors that SST offers. In this webinar, we will be focusing on our LuminOx Optical Oxygen Sensor range and discussing how this non-depleting technology competes with electrochemical oxygen sensors on the market today. SST has been designing and manufacturing robust and reliable oxygen sensors for over 15 years. They offer two different oxygen sensor technologies to cover a wide range of applications, both of which have non-depleting sensing principles that measure the partial pressure of oxygen (ppO2). SST’s range of zirconium dioxide oxygen sensors provide the necessary sensing solution to sustain low oxygen levels, prevent oxygen depletion, improve combustion efficiency and fire suppression. The LuminOx series is based on a proprietary luminescence quenching technology. They employ the properties of a specific dye which changes its luminescence behaviour depending upon the amount of oxygen around it. The unique patented process of the LuminOx family allows SST to produce a sensor that benefits from a non-depleting technology with a lifetime of more than 5 years that is unaffected by exposure to higher oxygen levels; fast recovery time after exposure to high oxygen levels; integrated temperature and pressure compensation; minimal cross sensitivity with other gases, pressure changes and pulses; and a digital output (standard 3.3V UART) making it easy to communicate with. This presentation discusses technologies that are currently on the market compared to the technology that we offer. Attendees will learn how the oxygen sensor works, features, benefits and main applications that this technology is suited to. Steve Duncan, Business Development Manager, SST Sensing. Steve is Business Development Manager at SST Sensing. He has 20+ years working in high technology sectors with the last 10 years in sensors and process instrumentation. 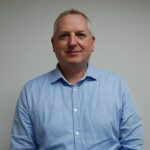 Steve has a passion for working with customers to develop and improve on existing products in the market, obtain feedback and provide real world solutions to the end user.